I language translation of the Japanese version of "iTunes for WMP"
I like the interface but I have a few problems. When I click on the open file and the open playlist buttons it locks up the player. I am running WinXP and media player 10. I have always liked the layout for iTunes, but hate using it because I feel like I am being confined to one place in dealing with my mp3's...dont work on a home built media center very well. So now I get the look I wanted and the freedom I need...not bad at all, 5 stars guy...it suits my purpose. oh and BTW the bug mentioned above did not happen on this download...everything works as placed. 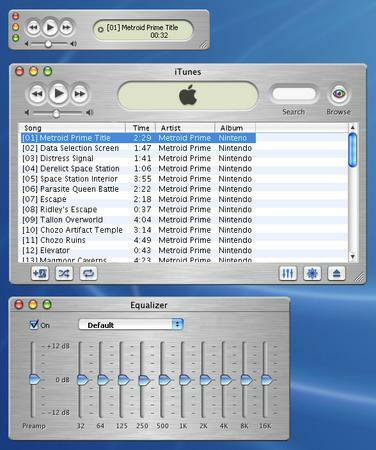 how do I rip music/burn CD's with this layout? and also, I can't figure out how to uninstall it ...? this actually didn't work at all for me - i tried installing it and there was error saying "Windows Media Player encountered a problem with the skin file. The skin file might not be valid."